Although I do indulge in cow's dairy from time to time (read: gluten free pizza), I do try my best to avoid it on a regular basis. For me, I notice more allergy symptoms and more skin issues when I have it- both of which are not worth it in my book! I stick to coconut and nut milks. Coconut is my favorite for a sweeter taste, and is easily masked in super-savory and spicy dishes. But sometimes I crave that more mild, creamy flavor- and that's when I head for the cashew milk. 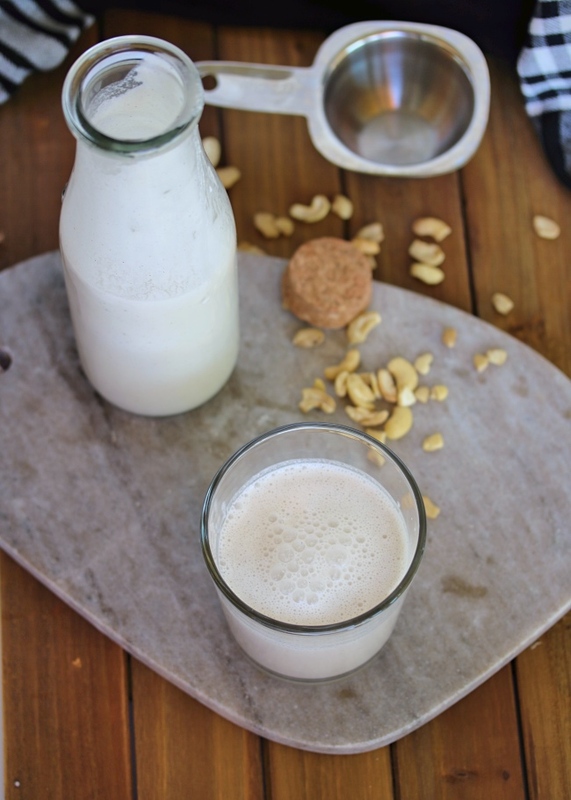 Almond milk has always tasted a little off to me, but cashews are just so naturally creamy and rich- I think they are just perfect for making dairy-free milks! I love this recipe because you can customize it to fit your liking. I love adding collagen all of the time, because it dissolves easily and why not add some protein & gut-healing nutrients to your milk? But if a sweeter milk is your thing, especially in coffee, tea, or over a grain-free granola? 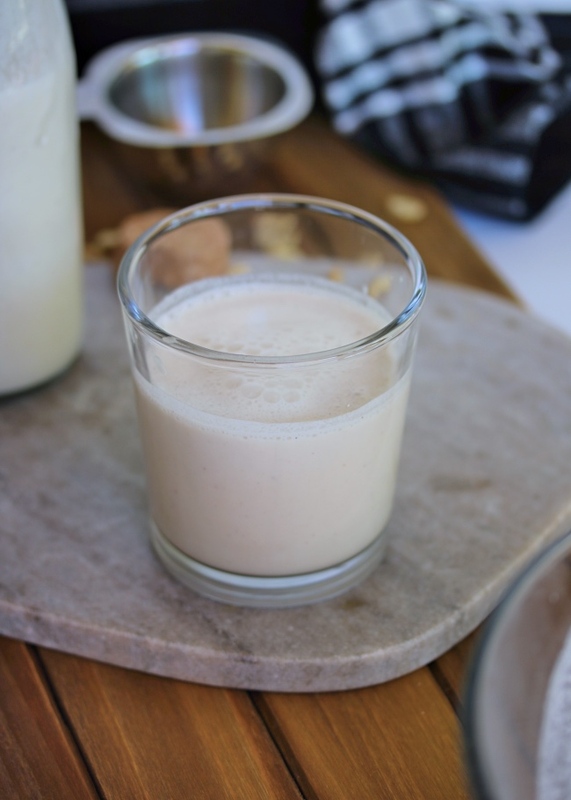 You've got to try this with some dates or honey blended in, plus a dash of vanilla. Even some cinnamon would be great! The best part about this recipe (in my opinion) is that there is no straining required. Call me lazy- I kind of am when it comes to the kitchen. I love to cook, love to eat, but extra steps drive me crazy. And I simply do not want to own and/or clean a mesh strainer or mess around with a nut milk bag. Maybe for a special recipe- but not for something I want to make often & keep on hand in the fridge. All you've gotta do for this is soak, blend, and store. My kind of recipe! I hope you give this a try, and enjoy it as much as I do! Don't forget to drink it within the week, and give it a good shake each time you serve. Yield: 3 cups of cashew milk. Add the cashews to a mixing bowl and cover with cool water. Soak for at least 1 hour or up to overnight. Drain the cashews and give them a good rinse. 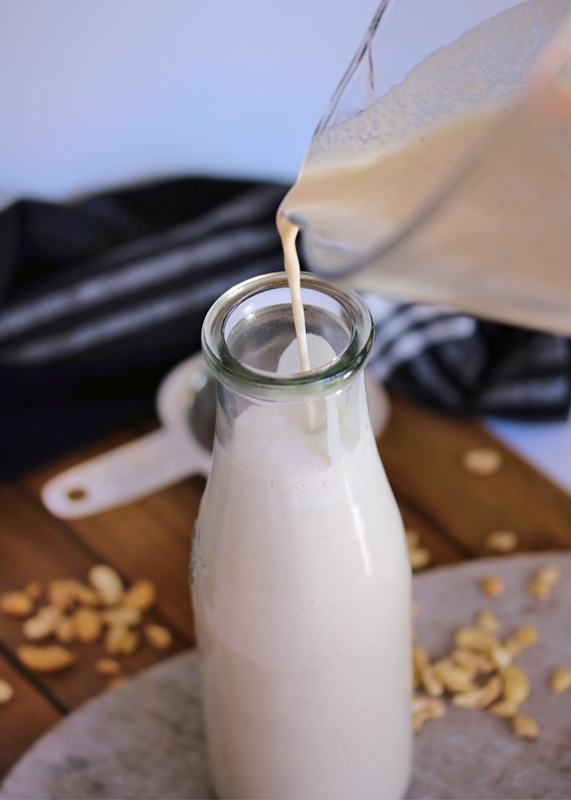 Transfer the cashews to a blender and add 2 cups of filtered water. Blend until smooth. If you are using dates, add those here as well and blend until no bits remain. Add the collagen peptides (plus any other mix-ins) and pulse until well combined. Transfer to a milk bottle or pitcher and store in the refrigerator. Shake well before each use, as the milk will settle naturally. Feel free to multiply this recipe as you need, just keep the ratios the same. 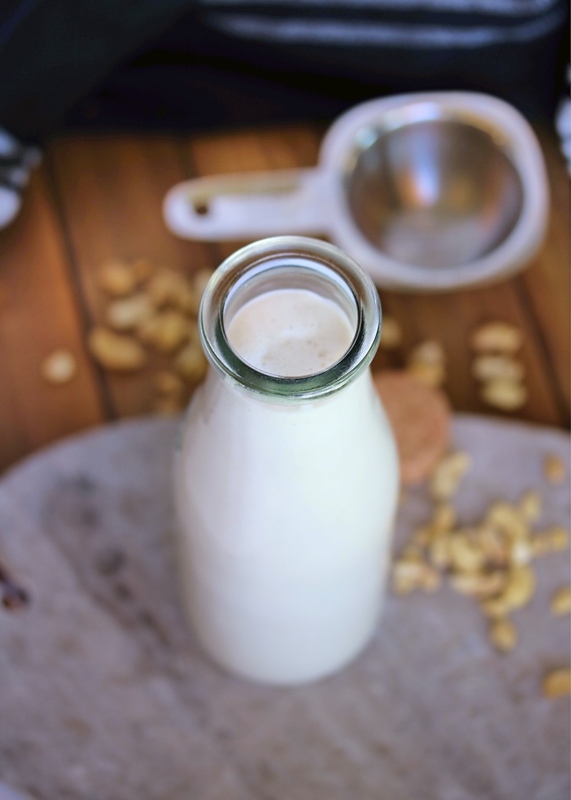 If you are using dates to sweeten your cashew milk, be sure to soak those too for best blending. If you like a thinner "skim milk" texture, add more water to your liking. I like a thicker, more creamy texture so I use the ratio stated above. If you are making this on a Whole30, do not add dates, honey, or any other sweeteners. You could add vanilla bean for some flavor- but no extract if it contains alcohol.